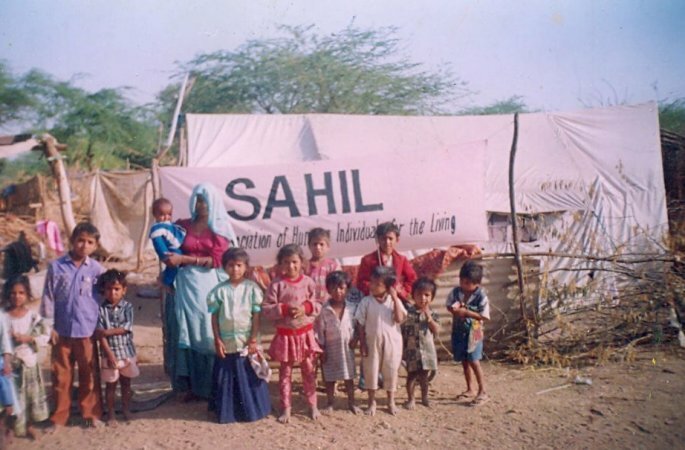 SAHIL ( Social Association of Humane Individuals for the Living) founded on 3rd June 1999 is a registered society. Supported by Far Horizon Tours Pvt Ltd, it is covered under the Income Tax Exemption Act. SAHIL was founded as the name suggests with a wide vision enabling it to work and be part of any given field which is calling attention, as long as it is associated with life - plants, animals or mankind. It singled out that Education was the single most importart tool that could lead towards development. SAHIL works to strengthen the already existing facilities in the village and additional facilities are provided only, if needed. 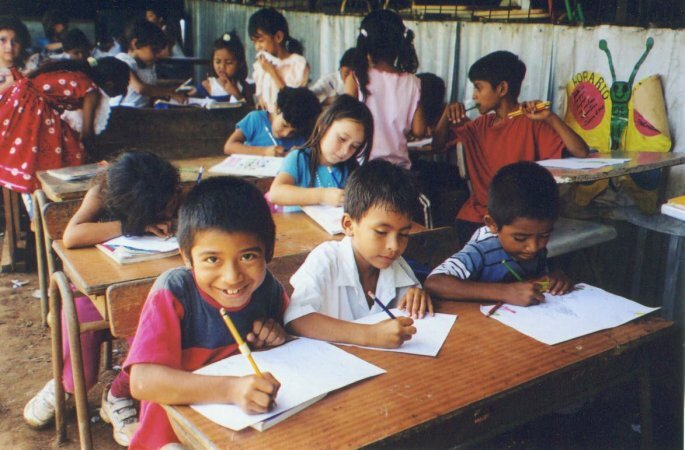 The aim is that each child has access to basic education. 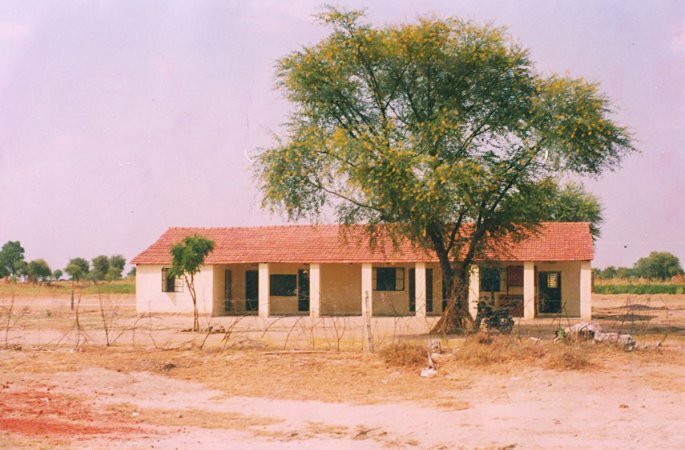 This school is located 25 kms outside Jaipur in the village of Shivdaspura. 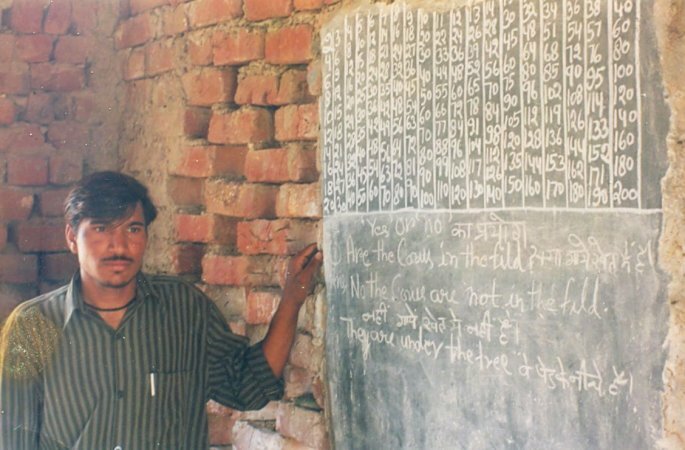 The school found its modest beginning in Ramesh Meena, a village boy who due his sheer zeal to give education to his village children started the school. With the support certain funds were generated which helped the school from being a 2 room shanty little place to be a 8 pucca rooms, with water and electricity facilities. It is a registered recognized school today till 8th standard and is proudly and steadily moving ahead. It has 100 plus strength of children and 5 teachers. and funds of FHT together. These tourists were from USA (Overseas Adventure Travel). In addition a school in a slum in Delhi was also constructed and operated with provisions of Mid Day Snacks and books and uniform. The same had to be demolished as the slum was cleared by the Govt. 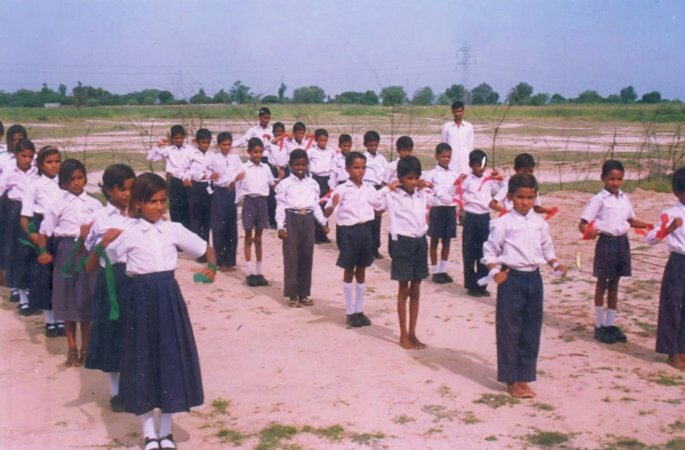 Present Operation: Started a computer training school in Village Manger in Faridabad, Haryana. Employed a tutor who resides there and gives 5 day a week classes to the youth. Basic sense of discipline is cultivated. OUT DOOR GAMES: FOOT BALL/VOLLEY BALL AND CRICKET EQUIPENT HAS BEEN PROVIDED FOR. RURAL SPORTS too are encouraged. Sahil has been doing cleanliness drives on roads of Delhi picking up plastic bags on alternate Saturdays along with the staff members of Far Horizon. Sahil believes in working very closely with the people at the grass root level to help provide ways and means to bring about economic development. Here, it works with a network of organisations to set up the means for the same. 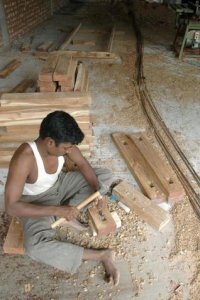 Vocational skills and development of the same is the prime aim at SAHIL to enable the villagers to let people of the villages move into mainstream activities and help them survive in the “ real world “. The above programs are for the village youth to help them find gainful employment both within their own village as well should they get opportunities to go and work in cities. Paper Craft: Developing skills to make goods out of paper. Sewing Classes: to help young village girls learn to stitch. The above activities provide gainful employment to the village women and young girls who slowly become involved in the production of a large variety of products. The products range from carry bags made from old newspapers to cloth bags made from textile scrap; from handcrafted eco-friendly stationery . 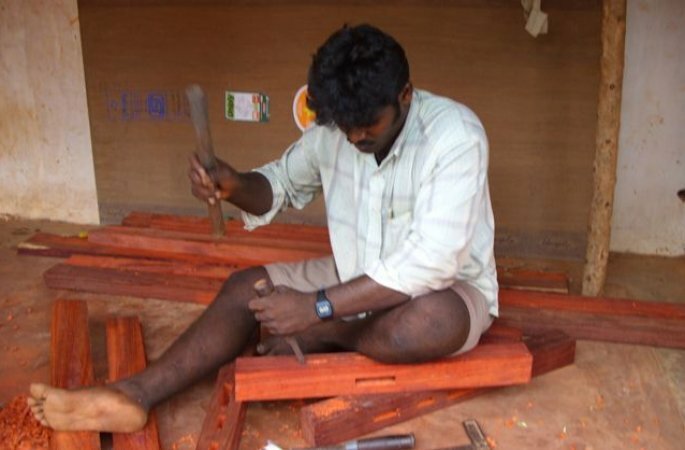 The work is brought to their door step – only way for them to contribute and earn within the village fold. For all the projects people from within the community are trained and motivated. The funds that come by way of Charity and Donations are utilised to develop infrastructure for self-sufficiency and build a sense of pride and dignity. 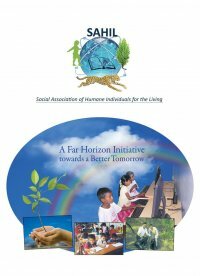 The vision of self sufficiency begins with involving the rural people in making the project work rather than bringing in social workers from outside. Rural India has a treasure of arts and crafts and full efforts are made to revive them. Avenues are created to generate income from these and become popular within the country and overseas. The aim is to popularise local crafts and make it income generating. SAHIL, strictly believes in not giving funding in CASH to any of its projects. HANDS ON APPROACH IN ALL ITS ACTIVITIES has been the key factor to the success of each program it has under taken. IF AT ALL, IN NEED OF THE HOUR PROJECTS, FUNDS HAVE TO BE PROVIDED FOR, THEN A THOROUGH CHECK AND RESEARCH IS DONE BEFORE A PROJECT IS UNDERTAKEN AND THERE IS A STRONG MONITORING SYSTEM IN PLACE. At present, doctors from the nearby urban areas visit the village regularly. Information and the need for preventive health care is provided to the people and sometime, they are bought to cities for specialised treatment. In future, we wish to develop in each of the village where SAHIL is able to reach or a village cluster will have a clinic run by qualified doctors to meet their needs. The aim is to have the rural people be trained and run these clinics themselves. YOGA Classes in collaboration with Art of Living foundation. Adult education classes for men and women in the evening hours by way of interactive discussions and by means of putting together plays and other performances to bring the message across to the people of the village. To ensure the native tree species which are now vanishing are revived. No such plantation is brought in which destroys the already existing native flora. To bring in fruit trees as it has been seen in the previous plantation drives that bringing in fruit bearing trees in combination with others was a strong motivation factor facilitating the activity. Far Horizon Tours - The main funding organisation behind SAHIL with this basic thought in mind has done huge infrastructral development in the villages, which not only provides a get away and an insight to the the tourist into rural India but this has led to popularise & bring attention to the rich heritage of our country. Performing arts are being popularised again and are not only providing entertainment to the visiting tourist but also have become means of generating Income. The aim is to inculcate pride and dignity in the village folks. By way of its resorts in the villages Far Horizon not only has provided the villagers with local employment but also gainfully utilized their various skills of construction, laying of thatch and mud plaster and painting at it's resorts. Not to overlook the promotion of the village handicrafts and artwork. Selected Deepti and Amit, both visually Impaired from Accessibility, an organisation that works with for the employment of Individuals who are disabled. Deepti, initially worked with Far Horizon as its Product Reservation Incharge and Amit - as data collection and processing of same for Management Reports. Deepti in due course further received an employment opportunity in her home town with State Bank of India and was encouraged to take on the opportunity. Amit today has adorned the mantle of Reservations Incharge in addition to his earlier responsibilities and is moving from strength to strength. Vipin a boy from Manzil joined as Airport Representative with Far Horizon for its French and American markets and today is an Executive Learning Operations. Dinesh from Theatre in Education is working as an Office Assistant. 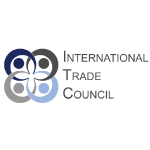 Others in the past have been groomed well and moved on with other organizations. The Project Co-ordinator at SAHIL – Vicky Sonkhla – is an individual who has been developed with a great sense to go back to the grassroots and develop people in villages by MANZIL. This is a major program which SAHIL is undertaking. The work is on, in consultation with The water man of Rajasthan - Rajendra Singh, who has undertaken extensive water conservation efforts in drought-prone eastern Rajasthan, winner of the 2001 Ramon Magsaysay Award for Community Leadership. Through his organisation Tarun Bharat Sangh he is also facilitating Maharaja Gaj Singh of Jodhpur to spread a message in various villages in the region of Jodhpur, Nagaur, Jaisalmer, Barmer, Jalore, Sirohi and Pali to undertake the water crusade. In the last few years, land available for agriculture has reduced substantially. A number of village’s have lost their only source of income. SAHIL is working in this area by providing inputs as to how to increase the yield from land, bringing in newer technologies and equipment and creating awareness amongst the farmers. The aim is to increase agricultures output and motivate the farmers to continue with their work. Gaon was selected. All 450 families in this village were put under tented accommodation and this project was a part of the study conducted by a team of two young Americans from Philanthropy TV, USA - Adam Boucher and Brian Harvey. SAHIL - working of a small organisation – was studied against Red Cross Society – a large International Organisation. LCRA-Year 2010: SAHIL supported Life Care Regeneration Association (LCRA) by providing it with small contribution of funds for the operation of a 3 month old boy infant for a heart surgery. The baby was suffering from ECTOPIA CORDIS ( Abdominal Type) with Pentalogy of Contrel Situs Solitus Heart Disease. He was operated on in Apollo Hospital – Delhi, by a team of two doctors – Doctor Raja Joshi and Dr. Vikas Kohli. The infant is today doing well and SAHIL is in touch with LCRA on the progress. 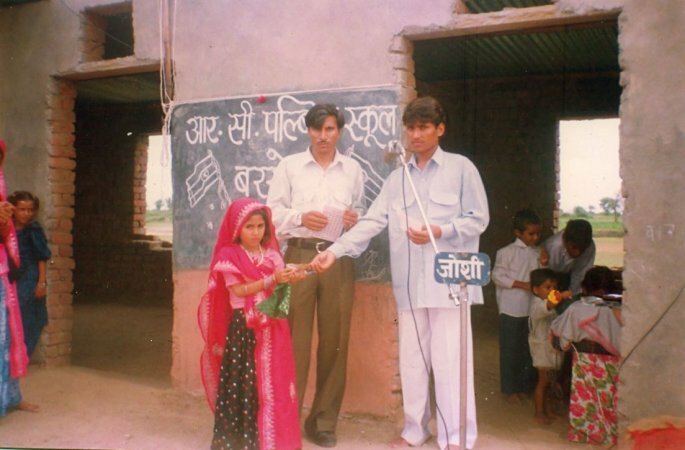 SAAMBHAVI-Year 2010: Ria Kanojia a girl of 18 months was facilitated with financial aid for her open heart surgery, conducted at ALL INDIA INSTITUE OF MEDICAL SCIENCES, NEW DELHI – INDIA, by Doctor Balraj Arya and his team. She too is fine doing well, we are in touch with the child's parents. SAHIL believes there is an inherent strength in collective working and so believes in multi – tasking with walking strongly with various organizations, each coming together to give strength of its knowledge and experience and to gain from the other. With the foundation laid by Far Horizon Tours at it's various project sites in India, it is SAHIL which is coming forward and taking on these programs in conjunction with the strong network of various organisations that are specializing in each of the above fields. As SAHIL enjoys a strong working relationship with these organisations – Praskash Deep and Theatre in Education (TIE) ( Education) Manzil ( Development at village level and City youth)/ Karam Marg/Vision of India ( Village development), GreenMission ( Enviorment and Yoga), Hope (Medical Facilities) Winrock Intl. 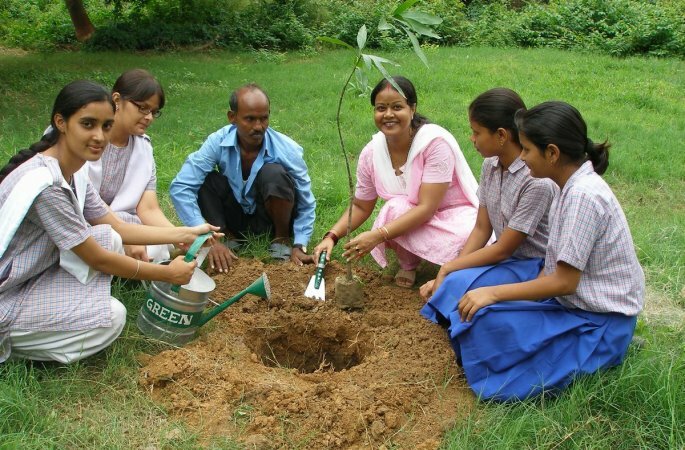 ( Study on Trees and the species) and Tarun Bharat Sangh(water harvesting & conservation). VILLAGE KALAKHO - DISTT. DHAUSA , RAJASTHAN. VILLAGE JAMBA - DISTT. JODHPUR, RAJASTHAN. 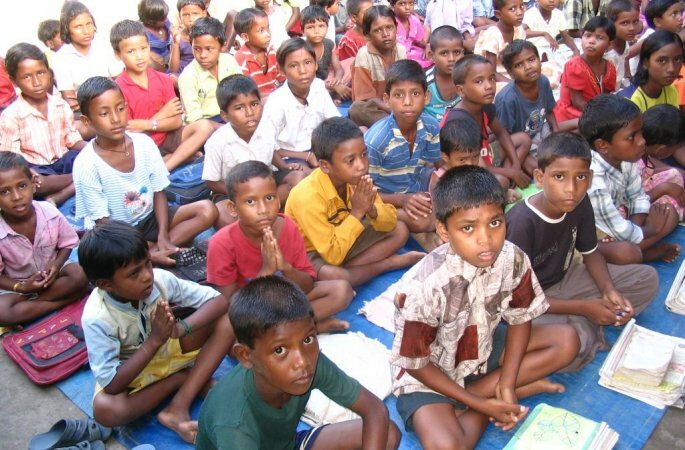 SOUTH INDIA - PROJECT SITES WITH GRACE FOUNDATION. Interactive session with the rural primary/ high school. Conducting few classes. Putting together an audio visiual presentation to educate them on environment or any socio – economic/ health and hygiene aspect. Get Entertained by Presentation of a skit from rural school or put a play to the rural folks on any educative theme – HIV/GENDRE BIAS/CHILD MARRIAGE/CASTE/WATER AND PRESERVATION/HEALTH AND HYGIENE. OPEN AIR theatre, which is a concept SAHIL is bringing in to form a medium of learning and entertainment. Learn Pottery or participate in the any workshop in rural/ traditional surroundings. Visit other workshops and contribute your ideas of development of the same and on how the sales could be enhanced. Plant trees in the village or contribute a days labour at the village nursery. Visit to the Panchayat Bhawan/Chaupal showing them how the village is governed. Visit to rural homes and making them aware of how villagers live/work and build their mud/rock houses. Visit to the farm, animals and other live-stock and also expose to them on different products grown in the farms. Picnic in the vicinity of the village with hygenic cooking on spot demo. will include games and sports activities. A match could be organized. Carry out one day's cleanliness drive with the village youth - boys and girls. Three seperate discussions with the Elder Men of the village/ youth of the village and Women folk of the village - understanding their views on your participation in the activities of their village. Work in the village construction program where you help in building a stucture for the collective good of the village community- be it school, library or acommunity centre..
Visit to SAHIL's Technical center and women empowerment programs. SAHIL provides you with an opportunity to take them along in the circle of growth and development, ignoring them will throw humanity out of gear, together we can do..... and arrive happily ashore (SAHIL). IDEAL DESTINATION FOR TOURIST AND GIVING A TRUE PICTURE OF RURAL INDIA, IN GENERAL. HAS IDEAL CLIMATE AND SOIL FOR VARIED SPECIES OF FLORA. 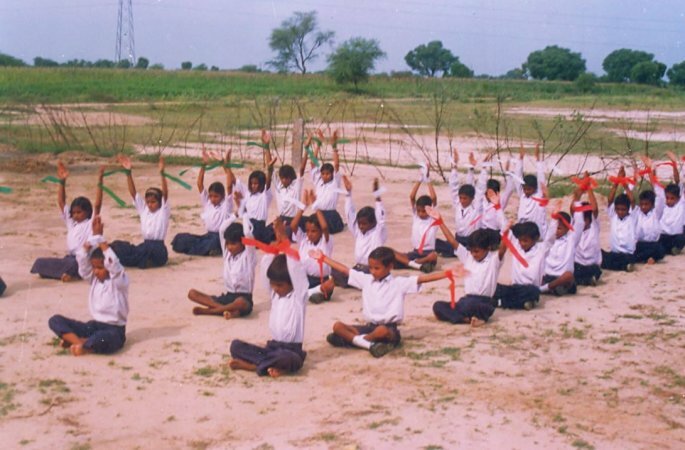 TERRAIN IS SIMILAR TO THE STUDY WE HAVE BEEN CONDUCTING AT VILLAGE MANGER, FARIDABAD. GROUND WATER RESOURCES ARE STILL RICH ENOUGH TO HELP SUSTAIN THE AFFORESTATION PROJECT. AGRARIAN SOCIETY HENCE TAKES COMFORTABLY TO WORKING WITH LAND. SPARSELY POPULATED HENCE EASY TO START A PROJECT AND GET IT OFF THE GROUND. GOODWILL ALREADY CREATED AMONGST THE PEOPLE OF THE LAND AS ‘DERA VILLAGE RETREAT’ HAS PROVIDED EMPLOYMENT OPPORTUNITIES - DIRECT AND INDIRECT. BEING IN CLOSE PROXIMITY TO DELHI CO-ORDINATION AND MONITORING BY SAHIL AT VARIOUS LEVELS IS POSSIBLE, INVOLVEMENT OF EXPERTISE OF OTHER ORGANIZATION S ALSO READILY AVAILABLE. A round trip journey with return by night too is feasible and undertaken many a times. IDEAL ACCOMMODATION IN COMFORTABLE SURROUND-INGS ALREADY EXISTING ON GROUND. IDEALLY LOCATED ON THE GOLDEN TRIANGLE.